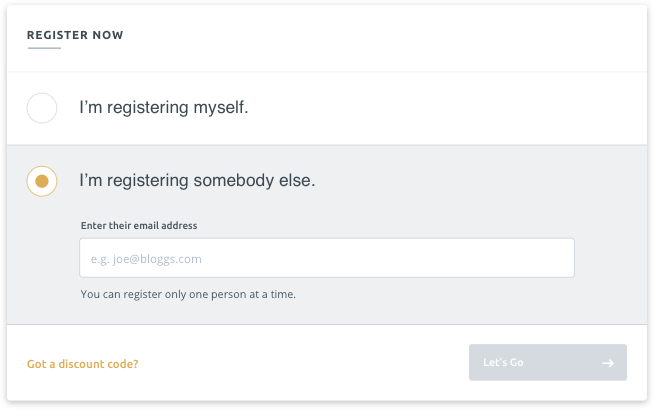 To make registration easier for everyone, we've made some changes to your Registration Hub. You can now register on behalf of other delegates. 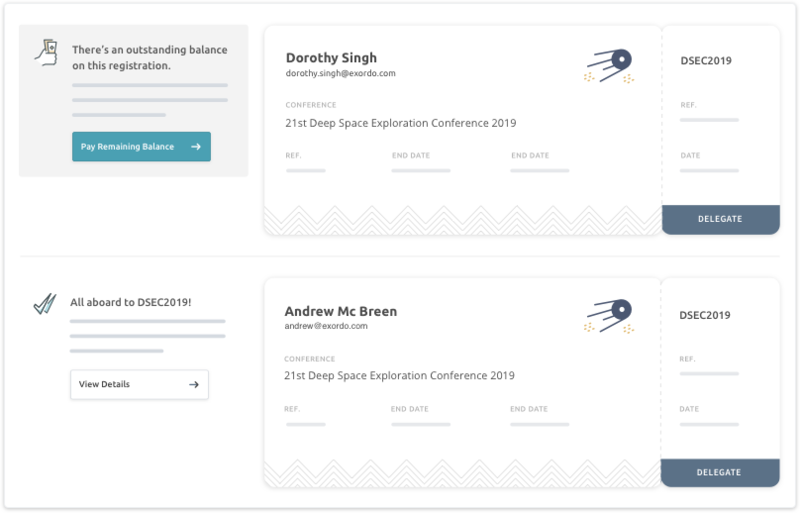 So if you want to register your keynote speakers, your colleagues, or any other VIP guests you can do so right from your Registration Hub. Simply add their email address and away you go. Registering on behalf of isn't limited to admins. Anyone with an Ex Ordo account can register someone else to attend your conference. In fact, when your delegates next log in they'll be faced with a brand new Registrations Hub. 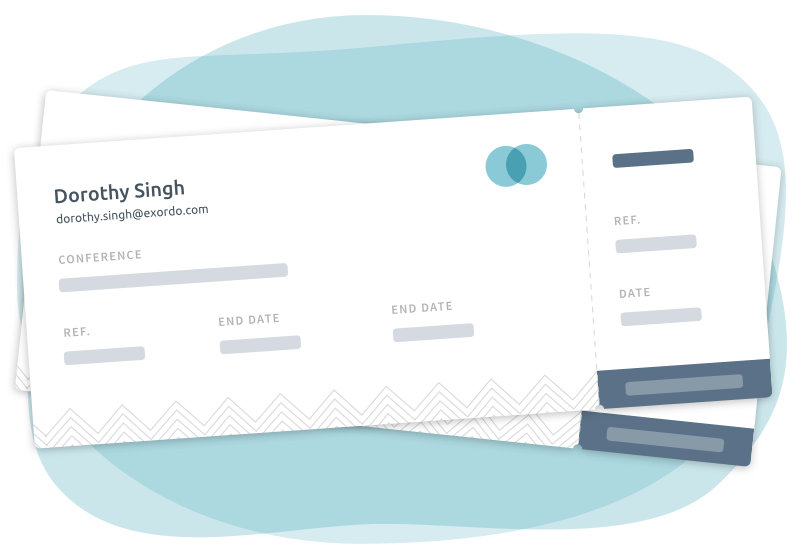 They'll get full visibility of any registrations they've made. And they can make their own edits, so you don't have to. You can now also limit ticket sales to encourage early registrations and control capacity at your conference. Set a limit on a particular a fee type – like student fees – or across all registrations. And if your tour operator has a maximum capacity or your seminar rooms hold a limited number of people, limit ticket sales on those too. Before now, delegates could log in and cancel whenever they wanted. Now, you get more control over what cancellation permissions your delegates have. Delegates need to request a cancellation, and accepting or rejecting it is up to you. To see for yourself what's changed, go to your Registration Hub and have a look around.